Opening Pandora’s box and finding stationery samples and a book shop inside would make me shriek and clap with joy. I love the smell of old books, embossed print can make me giddy and choosing the appropriate gift wrap and accessories is as fun as buying the present! Whether you are marrying abroad or planning a French themed wedding stationery is the first opportunity to convey to your guests the tone and style of the wedding you are planning. 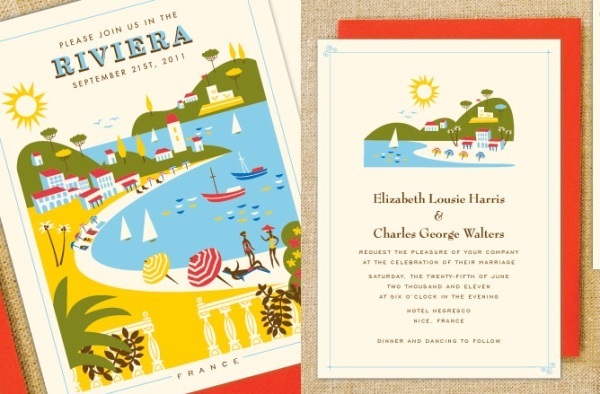 The fabulous bright French Riviera wedding invitations from Hello Lucky are playful yet sophisticated and are available for many alternative destination wedding locations. 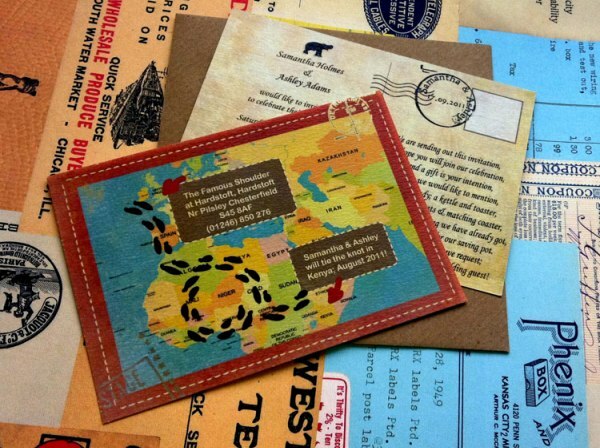 Marrying abroad can also provide stationery and venue decoration inspiration including luggage tags, passports and boarding passes or postcards as in Sweet Words Stationery’s destination wedding themed stationery. Using inspiration from French interior design and culture can provide many elegant motifs for wedding stationery, whether marrying abroad or in your home country. From double height French windows, the historic fleur-de-lis, picturesque chateaus, the chic Parisian style and intricate chandeliers. Chandelier motifs always delight me, not just the artistic brilliance of the hand drawings but as it reminds me of the Palais Garnier. The grand chandelier famously fell from the roof killing one person and that along with the underground lake and cellars at the Palais Garnier, provided the inspiration for Gaston Leroux and The Phantom of the Opera. 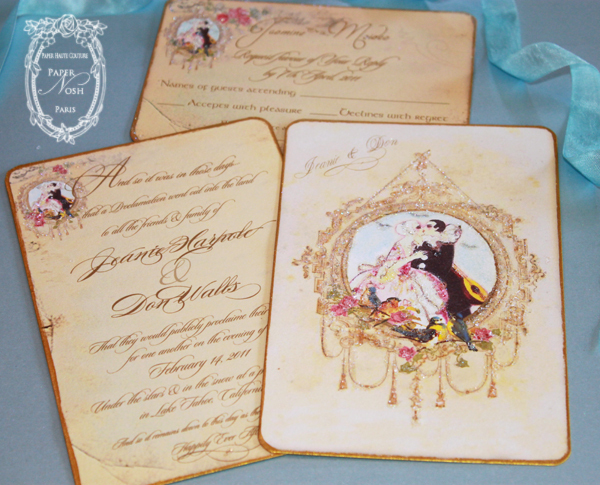 Inspiration for wedding stationery can come from many areas and my heart-felt happy when I read “inspired by a vintage musical box found in a Parisian antique market” led to the elegant song bird range from With Love designs. I think I secretly love the idea that antique shopping can now be classed as creative research. 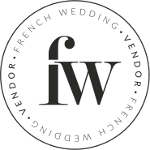 For those who are looking to bring a little piece of France to their wedding invitations take a look the Pierrot Au Claire de la Lune range from Paper Nosh. In these elaborate invitations Pierrot Au Clair de la Lune, the ill fated and poor dejected Pierrot here gets his kiss from the beloved Columbine. 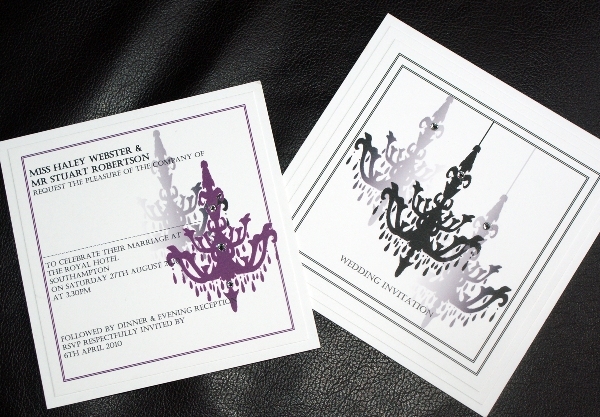 The invitations are printed on slightly textured paper to give a watercolor appearance. The cards are handcut for an uneven vintage appearance and then all the edges are ink stained with a gold metallic ink adding further to their antique appeal. The invitations are then finished with a “secret” glitter mix for the ultimate in sparkle and embossing. 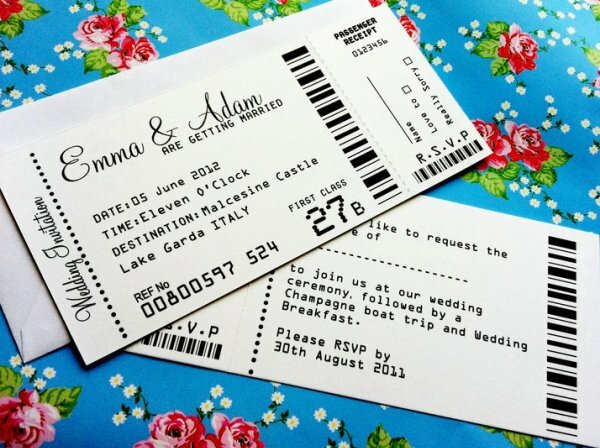 Have fun research and finding inspiration for your wedding stationery.